International students who want to study microbiology in Belarus are welcomed by us always for their admission process at state universities. WHERE TO STUDY MICROBIOLOGY IN BELARUS? Microbiology course is of huge value and Belarus government understands it,This the reason for the availability of microbiology course at many state universities where foreign students study their microbiology course. This microbiology course from Belarus is recognized in all over the world and it is because of quality education and excellent teaching methods. Fee for microbiology in Belarus is very affordable for international students and living is much cheaper as compare to other European countries. 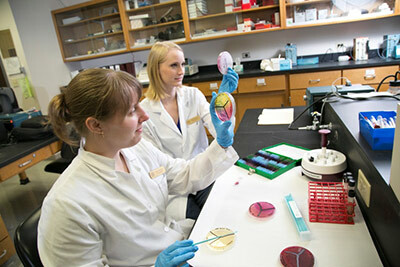 Microbiology degree in Belarus is taught at bachelor and masters level at many state universities. Bachelor degree in Microbiology is taught for 4 years at all state universities in Belarus. Masters degree consists of 2 years at state universities in Belarus and applicants for masters in microbiology must have a bachelor degree already for qualifying. Ph.D in Belarus is taught for 4 years. For 2019-2020 also we are receiving many applicants from foreign students who want to study microbiology at state universities in Belarus. Admission process is very easy to follow,International students who are having secondary school certificate may qualify for undergraduate degree admission at one of the state university in Belarus. Interested applicants scan their secondary school certificate with international passport copy in the Email of admission staff for eligibility assessment.Once admission documents are received,Admission staff assess their admission eligibility and within 1-2 days notify the applicants through Email. Eligible students send their admission fee and their documents are sent to the federal migration department for the issuance of official study invitation.This issuance process takes 2 weeks and the invitation is sent to the applicant abroad for visa process. Those foreign students who are found ineligible are asked to scan more supporting documents for their admission process. Belarus student visa is easiest for all foreign students.Among all European countries Belarus offer the best visa issuance conditions for its applicants. International students who are found eligible and have official study invitation by federal migration department may depart with this invitation and OK TO BOARD for departure from country airport and the visa is stamped at Minsk international airport for 125$.An insurance fee of 170 Euro is also to be paid at Minsk international airport. Few national require Belarus student visa before departure as their countries have Belarus Embassies. These countries are Nigeria,India,Egypt and Pakistan and their nationals must obtain Belarus study visa before arrival and scan their visa copy with air ticket copy in the Email of admission staff. We strongly advise all foreign students to scan their air ticket 3 days minimum before departure to us as we have to prepare their reception documents for immigration at Minsk international airport. Interested applicants who want to study microbiology in Belarus may contact us freely anytime for their 2019-2020 admission process at state universities in Belarus.Their applications will be processed at our earliest.